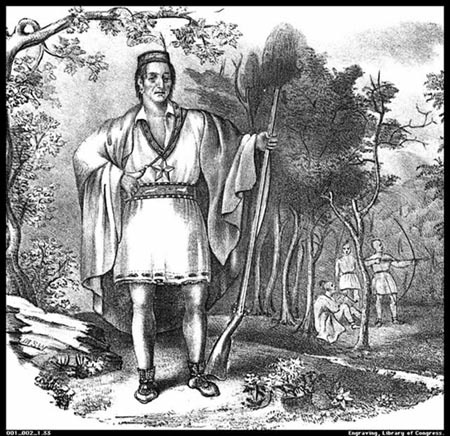 David Barton's Lies About King Philip's WarVirtually everything written about Natives in colonial New England is viewed through an ethnocentric lens of the master narrative. Further it is structured by a religious zeal which proclaims their god given right of manifest destiny to “rid the world of heathens” and “proselytize the gospel.” In order to maintain this propaganda and justify the theft and slaughter of millions; a controlled and consistent "record" reflecting the dehumanization of Indians was required. We don’t have to delve into a rustic dusty library to research an old text to note the malefic and racist attitudes towards Natives of long ago. David Barton recently provided a stellar example of this myopic behavior on the appropriately named Wall Builder Show. He views the attack and destruction of Native peoples as the linear and spiritual progression of god’s chosen people. He claims to speak from a “historical and biblical point of view” and that it’s “not about fairness but of justice…god’s justice,” he said. This is brazenly false. The Moravian missionaries don’t arrive in America until 1735. And let’s use logic here-if the Indians were all torturing each other to death, I’m quite sure the English would be inclined to just stay out of the way. And we can’t discuss torture unless we mention one of the favorite punishments by the English, which was decapitation and displaying the head on pole. Then there was nailing you down by your ears to a frame, in a device called a pillory. We even see our first form of water boarding with the ducking stool. Whether it was piling stones on top of person, riding the timber mare, flogging or just burning you at the stake; it’s safe to say the first settlers were no strangers to divers’ methods of torture. Barton’s mendacity is evocative of a time when race and religion supersede any human rights. And that’s what King Phllip's War was really about, human rights. After years of pent up anger, insults, murder and theft, war was inevitable.One commenter added:This type of thinking about American Indians by David Barton, a highly regarded "authority" in many Christian circles, is an excellent example of how American Christians rationalized the ungodliness of their ancestors actions starting with the Pilgrims. Barton is not stating anything new, he's just articulating it in a more blunt fashion. It is unfortunate that American Christians starting with the Pilgrims failed to rely upon the Bible, their supposed basis for all their actions. The Bible tells Christians to "missionize" and "preach" NOT move in and take over. The Bible provides no justification for conquest, in fact it specifically prohibits these types of actions. But unfortunately no American Christian authorities publicly acknowledge this, so people like Barton continue to spread and re-enforce the lies. Adolf Hitler said it best: "Make the lie big, make it simple, keep saying it, and eventually they will believe it.”Comment: For more on King Philip's War, see Roger Williams, Slave Trader and Radio Show on King Philip's War Game.